Premium factual channel BBC Earth is set to launch for the first time in Greece on OTE Group’s Pay-TV service COSMOTE TV. The channel will be available to COSMOTE TV subscribers from 1 October 2017 with all landmark programming subtitled into local language. Later in the year BBC Earth will air the exclusive territory premiere of Blue Planet II, the highly anticipated follow up to Blue Planet, the award-winning series on the world’s oceans that became the most viewed natural history programme in the UK for 15 years until the broadcast of Planet Earth II. Seeking to inspire audiences by sharing the incredible wonders of our universe, BBC Earth showcases the work of the world’s foremost factual film-makers and will take Greek audiences on a thrilling journey of discovery. From the smallest creature under the microscope to the limitless expanses of space, BBC Earth brings viewers face-to-face with heart-pounding action, mind-blowing ideas and the wonder of being human. Natasha Hussain, General Manager and Vice President of Middle East and Mediterranean at BBC Worldwide commented: “In an ever changing and competitive media landscape it is increasingly important to have world-class brands and content that are also able to cut through and resonate with audiences locally. The BBC is uniquely positioned as the world leader in natural history and factual film making, with an unparalleled heritage of creating global phenomena like Planet Earth II and Blue Planet. This latest partnership with COSMOTE TV means viewers in Greece will be part of a growing family of audiences globally able to access market leading British, bold, creative content through BBC Earth. 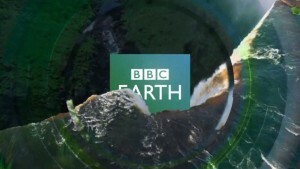 “BBC’s top documentary channel, BBC Earth, premieres for the first time in Greece on COSMOTE TV, offering Greek audiences magnificent TV productions, like the multi-award winning Blue Planet and Blue Planet II. In the upcoming period, new exciting content additions will come to our channels’ line-up for COSMOTE TV subscribers”, said Dimitris Michalakis, COSMOTE TV Executive Director.